Being in a pleasant place is just like being in heaven!! That is what I exactly experienced during my Mount Abu visit. My two best buddies-Richard and Gracey accompanied me on this tour. Holding an important place in Rajasthan tourism, Mount Abu is a pleasing hill town. Renowned for its rich cultural heritage, magnificent monuments and colourful fairs & festivals, Rajasthan attracts tourists with its fascinating aspects of tourism. Visitors flocking to the most popular Rajasthan Travel Destinations, love to being in the soothing ambiance of this jewel in the desert land. We were in Delhi and our planning to visit Mount Abu just happened on weekend. All three of us packed our bags with camera, caps, sport shoes and other necessary articles that we could need during our visit. Satisfied with our packing, we left for Mount Abu by train. While on train, we were sharing our reading based knowledge about Mount Abu, which is popularly referred as ‘An Oasis in Rajasthan’. It lies on the southern tip of the Aravali range. The idea of visiting a hill station in the barren desert excited us so much that we found it difficult to wait for being there.We reached Mount Abu station in the early morning. The moment we came outside, all we could see was the crowd of auto-rikshaws. We hired one and head towards our hotel. It was a three-star hotel with excellent facilities and modern comforts. After unpacking our bags, we let our tired body rest amidst the luxury of the hotel room. By evening, we felt ourselves ready to explore the town. Satiated with the delectable lunch, we left happily for exploring the beautiful hill station in Rajasthan. The cool climate and tranquility of the place was just fondling us. It also helped us to shed our tiredness in a perfect way. Covering the entire hillside, the rich vegetation of Mount Abu takes the credit of its cool atmosphere. Nakki Lake was the first spot; we visited on our Mount Abu Trip. This mythological lake has a very interesting story behind its creation. According to legends, the lake was dug by Gods using their ‘Nakh’ or nails and thus, it got the name-the Nakki Lake. The local tribes also worship it. 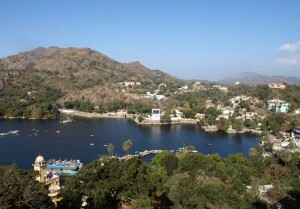 Situated at an elevation of 1200 m above sea level, Nakki Lake takes the crown of being the heart of Mount Abu. We were very delighted to visit the lake in the evening because we could enjoy boating there. Surrounded with mountains and rock formations, the lake possesses a picture-perfect site that makes it a must visit on your travel to Mount Abu. Richard is very fond of photography and he clicked some beautiful pictures of the Nakki Lake. The sun set view is also a must watch at the lake. Holding our excitement for the next day, we came back to the hotel. 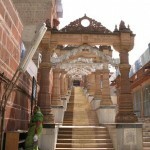 Next morning, after having our breakfast we reached ‘Dilwara Jain Temples’, a fine example of Jain architecture. 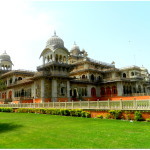 These temples are the popular tourist attractions of Mount Abu Tourism. Exquisitely carved, these temples date back to the 11th and 13th century A. D. Dedicated to the Jain Tirthankaras, these temples reflect the sheer elegance in marble. Spreading over carved ceilings, pillars and doorways, the ornamental detail is simply amazing to see. It is hard to believe that these temples were built in an era when there was no technology. Gracey had done a lot of research on these temples. Based on her knowledge, she told that the five legendary marble temples of Dilwara are a holy pilgrimage spot of the Jains. Lying amidst a range of forested hills, these five temples are named as-The Vimal Vasahi Temple, The Luna Vasahi, The Pithalhar Temple, Parshavanath Temple and Mahaveer Swami Temple. There is no photography allowed inside the temple, so we could not click any picture of that architecture marvel. 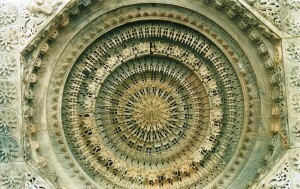 The Dilwara Jain Temples remain open from 12 p.m. to 3 p.m. for tourists and the entry is free. This only hill station-Mount Abu, Rajasthan is also known for Brahmakumaris. After this beautiful experience, we visited Mount Abu Wildlife Sanctuary. It is one of the oldest parts of mountain ranges of the hill town. Being a home to various sightseeing points, it offers the fabulous views to tourists. Based on our experience, I would suggest a long walk to see the birds and animals along with the floral beauty of the place. Well, we got free after that. To make the most of the free time, we left for other places to visit. Gurushikar and the Sunset Point became a part of our exploration on our Mount Abu tour. 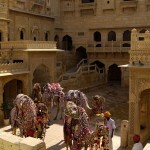 Without a doubt, that rendezvous with the royalty of Rajasthan was delightful. It will always remain a memory to cherish forever.